The French chocolatier Patrick Roger, often called the Rodin of chocolate, is already well known for his elaborate, edible works of art. 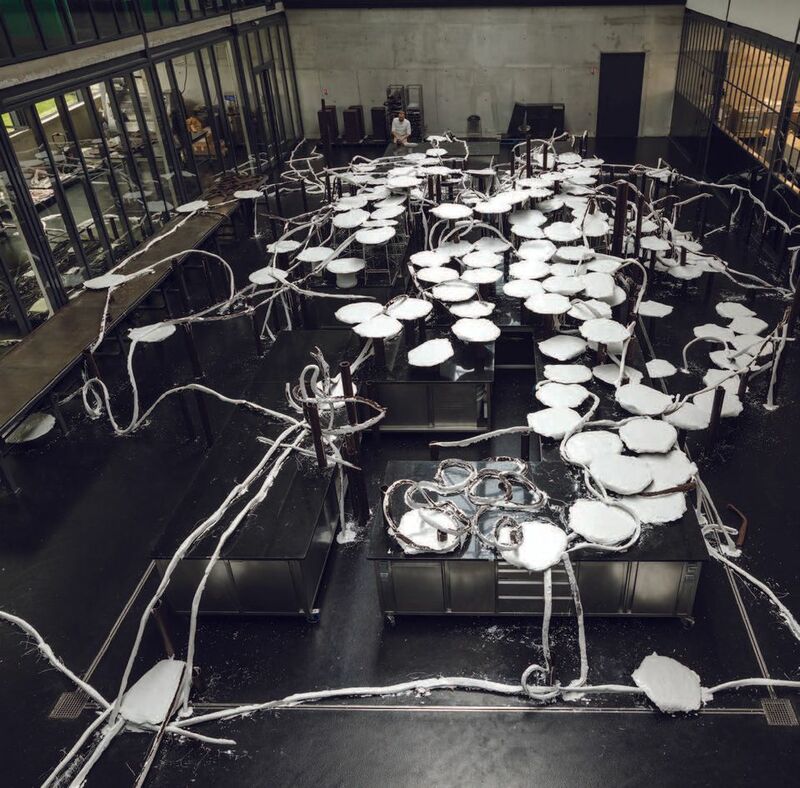 But he has also been quietly turning his skills to a more permanent, less melty, medium, creating versions of his sculptures in bronze, silver, gold or marble. Two new French publications document these works. “Making chocolate is already an art,” Roger says, which might be why he starts his sculptures using that malleable material. “I let it cool for three minutes maximum. That’s when I can start shaping it”, he adds, while pulling out a handful of moderately sharp kitchen knives, his work tools. “I sometimes think faster than I can sculpt. I indulge in speed. I am a biker as well as a helicopter pilot.” After his chocolate sculptures have set, he then has pre-casts made, in elastomere, plaster and wax. At first, Roger would give away some of these works; now they can cost up to $100,000. The idea of casting his creations in metal came 20 years ago, when one of his friends and neighbours took him out to a gallery in Sceaux, a suburb about 10km south of Paris. Roger bought one sculpture by the Italian artist Gualtiero Busato there, before heading to another gallery in Paris to acquire more art. 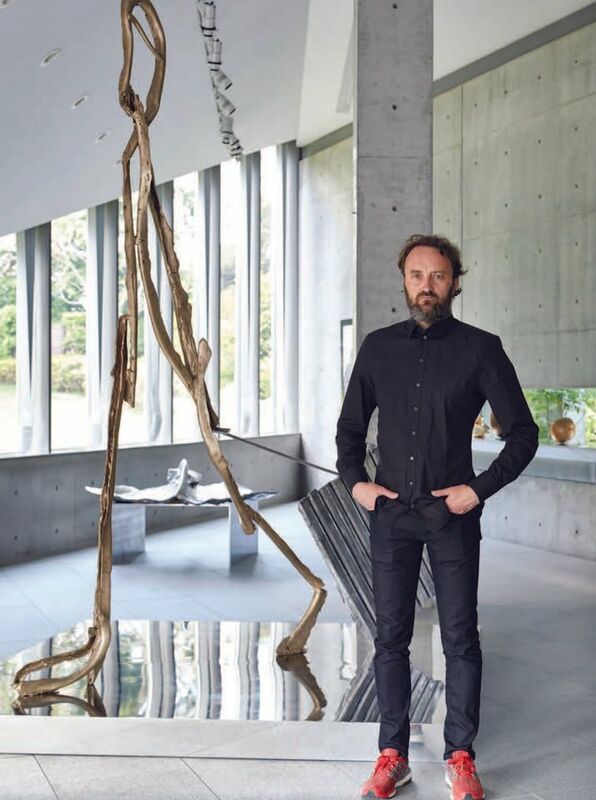 “After my third purchase, I thought I should make my own work as durable as the pieces I was buying.” He visited the Fonderie Susse in Malakoff, another southern commune, only to fall in love with the work of Alberto Giacometti and Constantin Brancusi. But Roger says he does not draw inspiration from other artists. He did not go to a museum until he was 24 years old; it was probably the Louvre, he says, but is not sure. “I never know what I will be sculpting until I start working. Making is the starting point”, he adds. The self-taught artist usually never asks anyone to sit for him, although he did take pictures of the French actor Gérard Depardieu, for a portrait bust. Roger has created other series based on plants, animals, or abstracts figures. His latest works tend to be more politically motivated, based on themes like water preservation. He has made so many works that he now has two warehouses to store them. Some remain at the foundries he collaborates with, while others are displays in the windows of his nine chocolate shops in Paris. The rest are scattered around his Sceaux-based workshop. “I could not say how many sculptures I have created over the years, because an ensemble can consist of several works, and a work can be in 800 pieces, for example. But let’s say it’s around 250.” Each one comes in an edition of three to five at most. Last month, Roger published a 400-page catalogue in French documenting his career, and on 9 November, a catalogue of his sculptures from 2015 to 2018 is due to be released. And what comes next? He hopes to find a gallery to represent him, or to see his work shown in a national museum.